Geslyn loves to smile and is in our Pre-K program. 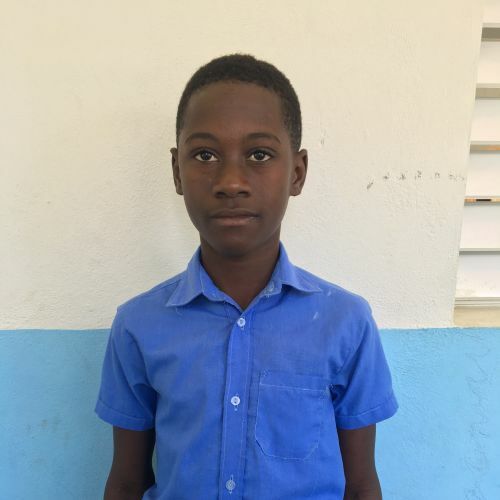 His family does not have much, but his parents do their best to provide for the needs of Geslyn and his brother. In his first year of school, Geslyn did very well in class and improved his reading and writing skills. When he draws or makes cars out of plastic pieces, he is eager to show his parents. And he loves playing soccer with his brother.